The drafting board of the draft law revising the 2015 Penal Code has recently proposed revision of 119 articles and clauses of the Code. According to a representative of the editorial group of the draft law, the articles and clauses recommended for revision all contain technical errors which could neither be explained nor be guided, and should be amended and supplemented to ensure the uniform application of law and guarantee the rights and interests of criminals. Of these 119 articles and clauses, the editorial group has reached agreement on a plan for revision of 97 articles and clauses. Divergent opinions on the remaining 22 articles and clauses focus on such issues as the quantitative assessment for examination of penal liability for the crime of polluting the environment; addition of newly appeared kinds of plants bearing narcotic substances; or whether to prescribe the “purity” of narcotic substances in some drug-related crimes or not. The editorial group said that, in addition to the above 119 articles and clauses, it had discussed other 16 articles and clauses but could not reach an agreement whether to revise them or not. These articles and clauses are mainly related to penal liability of legal entities, aggregation of penalties in case of commission of more than one crime, or penal handling of acts of preparation to commit crimes with constituents of matter. 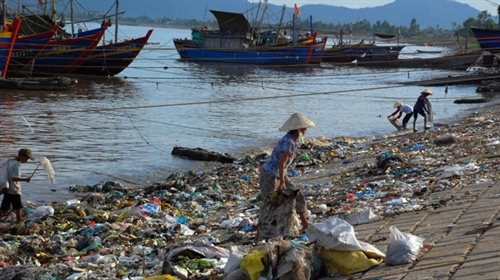 Minister of Justice Le Thanh Long required the editorial group to carefully re-consider the quantitative assessment for examination of penal liability for the crime “Polluting the environment” (Article 235) to make the article more feasible. He also asked the editorial group to consider adding newly appeared kinds of plants bearing narcotic substances such as pep spice and khat leaves, so as to create the legal foundation for criminally handle acts of illegally storing, transporting, trading and appropriating such kinds of plants. Responding to the opinions proposing that it is necessary to prescribe in detail the classification of crimes for commercial legal entities committing crimes, accomplices, commission of crimes in an organized manner by commercial legal entities, and statute of limitations for examination of penal liability for commercial legal entities committing crimes, Long said the examination of penal liability for commercial legal entities is a matter prescribed for the first time in the Penal Code and has not been applied in reality, so the current provisions concerning this matter still apply and, if problems arise in the course of application, further guidance will be provided.